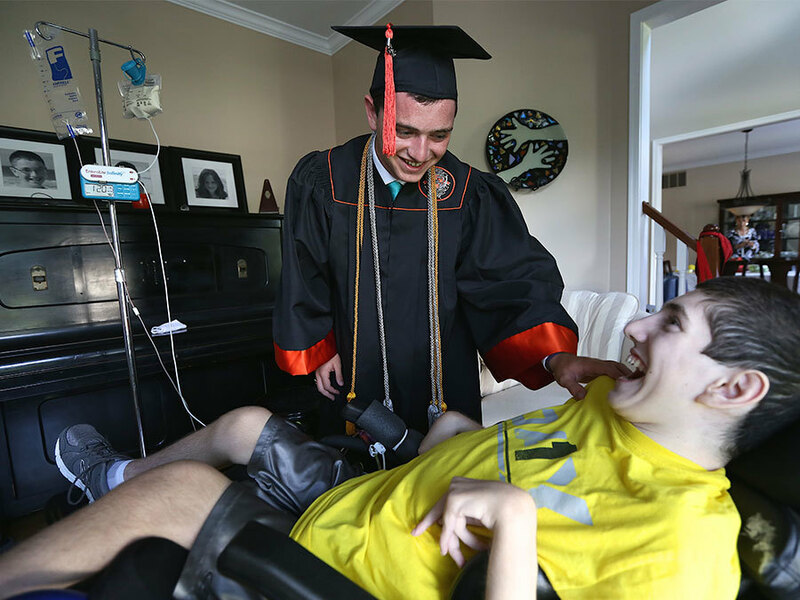 LOVELAND, Ohio -- It’s evening at the Kadish house, and 16-year-old Ethan is dozing in his wheelchair. His breathing is steady and even, and his face is relaxed. Ethan is comfortable -- but still completely dependent on others. It has been four years since Ethan was struck by lightning on a clear day at summer camp. The lightning strike stopped his heart and robbed his brain of oxygen for many minutes. He still can’t walk or talk or do anything for himself. Since the beginning Scott and Alexia Kadish have pushed toward recovery, with scores of therapies and visits with specialists. But it has been a year of medical setbacks for Ethan, and his comfort has become their priority for him. “I guess it’s hard to say really what direction he’s heading,” Scott Kadish said. Ethan’s medical condition isn’t the only uncertainty. Like nearly 28,000 other Ohio families of children with disabilities, the Kadishes count on Medicaid to help pay for nursing help, therapies and prescriptions. And like all those families, the Kadishes are wondering what the proposed American Health Care Act and its sweeping changes to Medicaid would mean for them. Having more questions than answers has become almost a way of life since Ethan’s injury on June 29, 2013. He has spent a total of 381 days in the hospital since then -- more than a full year -- and his parents never know what will trigger the next visit to the emergency room or next hospital admission. That doesn’t mean the Kadishes have given up hope that life will get better or less complicated for Ethan, who was 12 when he got hurt and will be 17 in July. But they have come to believe he can’t recover when he experiences sudden pain so severe that he shrieks in agony and sweats uncontrollably. So their hope has taken different forms. 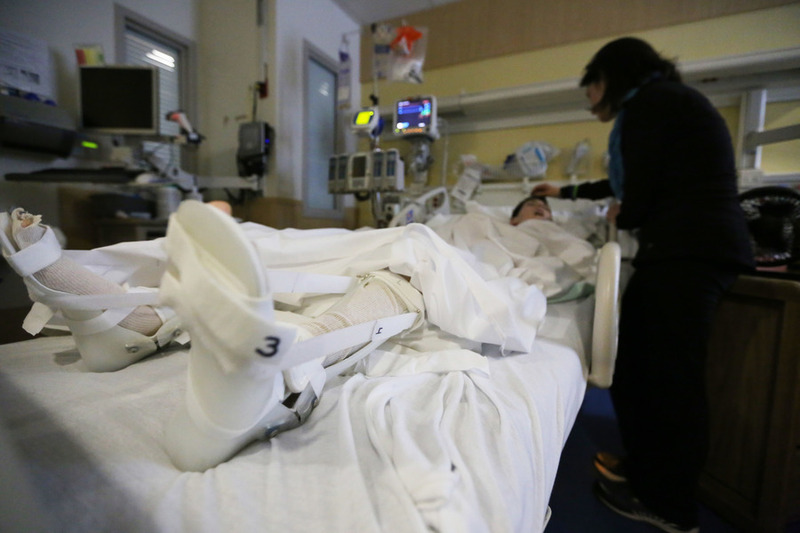 In the hours and days after Ethan’s injury, all hope was focused on his survival. He spent the first few days at a hospital in Indianapolis near the camp where he got hurt before being moved to Cincinnati Children’s Hospital Medical Center. When it became clear he would live, his family’s hope shifted. “Over the first three years, we had been so driven on a path of recovery,” Alexia Kadish said. Ethan’s parents had gradually reduced the number of drugs he was taking in hopes that lifting the medication “fog” would make it easier to understand his needs. They spent more than a year trying to wean him off baclofen, a skeletal muscle relaxant, so doctors could remove a hockey puck-sized pump in his abdomen that sends the drug into his body and relieve some of his gastrointestinal problems. And Alexia Kadish was blending nutrient-rich food into a green puree each night for Ethan to eat through a tube the next day, in hopes that “real food” would have more healing power than the gooey, prepackaged formula he had been consuming as his only sustenance. All of that has changed in the past few months. The Kadishes have had to reintroduce the baclofen and other pain medications to give Ethan relief. They are feeding him only formula in case the “real food” is causing intestinal distress. And they’re keeping their boy as comfortable as they can in hopes that will keep him out of the hospital. But -- as they always have -- the Kadishes are trying to focus on what they have instead of what they’ve lost. Most recently that meant Scott and Alexia Kadish taking Ethan’s older brother, Zakary, and his younger sister, Elyse, to the Dominican Republic this past spring during a break from school. The trip itself was terrific, she added quickly. “It was hard to pull out of the driveway,” Scott Kadish said. As difficult as it was for the Kadishes to leave Ethan at home, they needed the time with Zakary, who is 20, and Elyse, who is 14. The difficulty is more than emotional. Ethan needs care around the clock. The Kadishes have a team of home health nurses who care for Ethan during the school days, the overnight hours and for a bit on the weekend. But there are still many hours each week when Ethan’s parents are the ones who feed him and change him and lift him from his wheelchair to his bed or from his bed to his wheelchair. 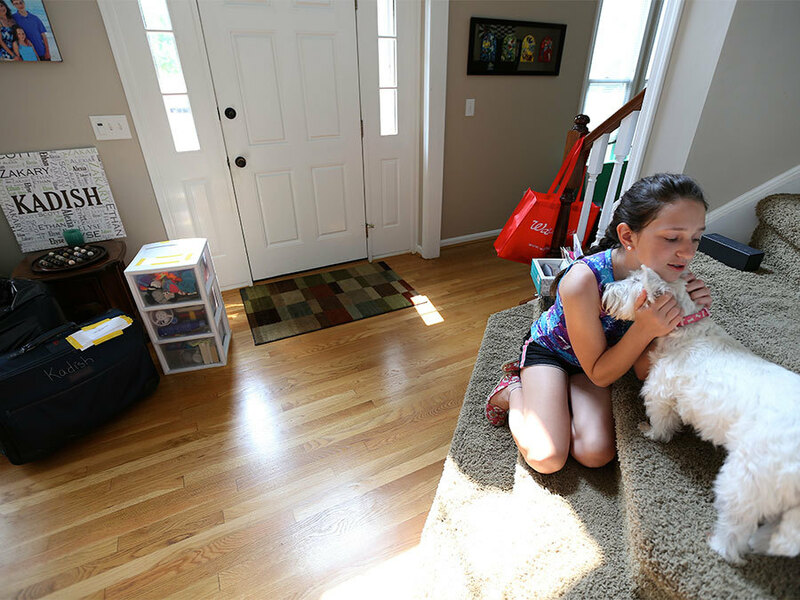 Covering those hours for a week with additional nursing care adds about $5,000 to the cost of a vacation with the rest of the family, Scott Kadish said. “I don’t know if we’d be able to do that without the help of our Team Ethan supporters,” he said. Those supporters include friends and family and neighbors in addition to people around the world who have never met the Kadishes. For years they have donated to a fund that helps pay for Ethan’s medical care , which hasn’t gotten any cheaper. Since his injury, Ethan’s medical expenses have been roughly $1 million each year. Scott Kadish estimates they have been closer to $1.2 million or $1.5 million each of the last couple of years. Those big numbers are part of what have the Kadishes worried about what’s happening in Washington, D.C.
That uncertainty has added even more stress to an already difficult situation, Alexia Kadish said. The Kadishes count themselves among the fortunate because they have such good health insurance through Scott Kadish’s employer, the Procter & Gamble Co. But no private insurance policy is designed for the kind of care Ethan needs. 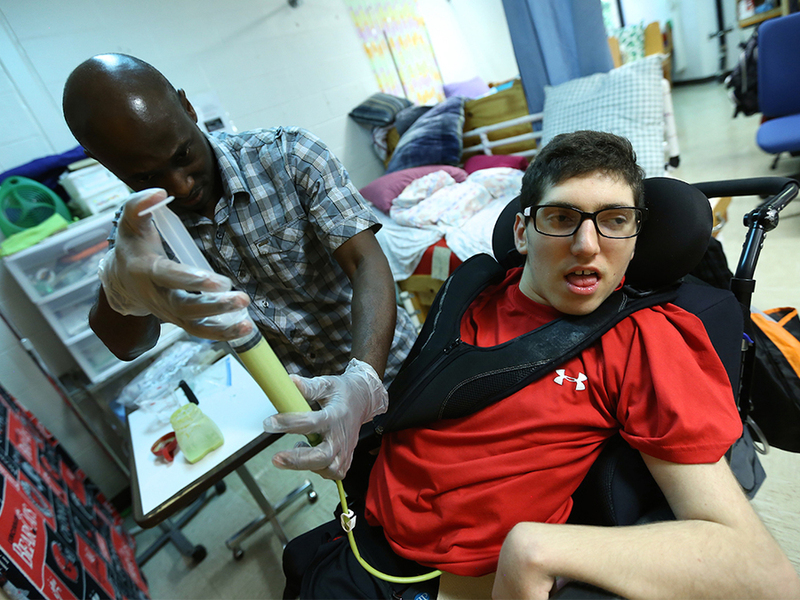 Ethan’s Ohio Home Care Waiver through Medicaid allows for his home nursing and many of the therapies Ethan does, in addition to a large number of his medication expenses. That doesn’t mean the Kadishes think the Medicaid system is perfect. “Just like with any good government agency, I think there’s lots of areas for continuous improvement in the process where they maybe could save money instead of instantly going to cutting services,” Scott Kadish said. But the political debate makes the Kadishes’ fundraising all the more important, he said. The money raised by Team Ethan covers those expenses, and the Kadishes use it as sparingly as possible. It’s perhaps the biggest unanswered question of all -- the one that keeps the Kadishes striving to find joy in quiet naps, content smiles and days outside a hospital. Instead of the Home Run Derby fundraiser that has been held for Ethan in previous years, some of his supporters have organized Team Ethan Wifflemania. The event will be held Aug 19 at Home of the Brave Park in Loveland. Players age 12 and under will compete from 9 a.m. to noon, and players age 13 and older will compete from noon to 6 p.m. More information about the event and how to register teams is available online. To help fund the hundreds of thousands of dollars of ongoing care for Ethan that isn’t covered by insurance, go to http://jointeamethan.org . WCPO reporter Lucy May and WCPO photojournalist Emily Maxwell are following the progress of Ethan Kadish as he continues to recover from being struck by lightning on June 29, 2013. This is their seventh installment. To read their earlier stories go to wcpo.com/ethan .